Conference sponsorship is an effective platform to build relationships, to generate brand awareness and engage the participants. 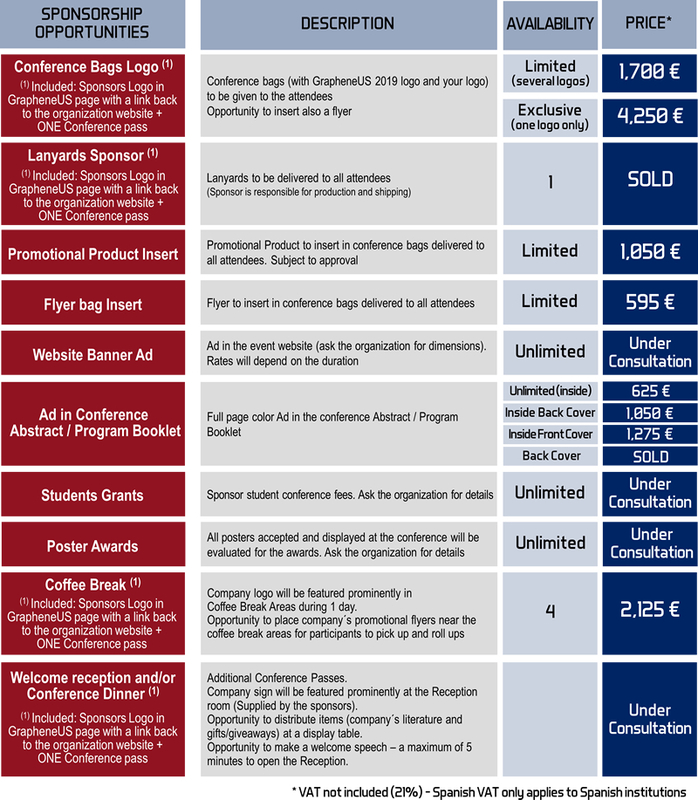 A number of sponsorship options are available, including placement of your logo and advertising material on delegate bags, conference dinner or coffee breaks, student’s grants, to name just a few. Sponsorship opportunities are designed to meet your business development goals and objectives. 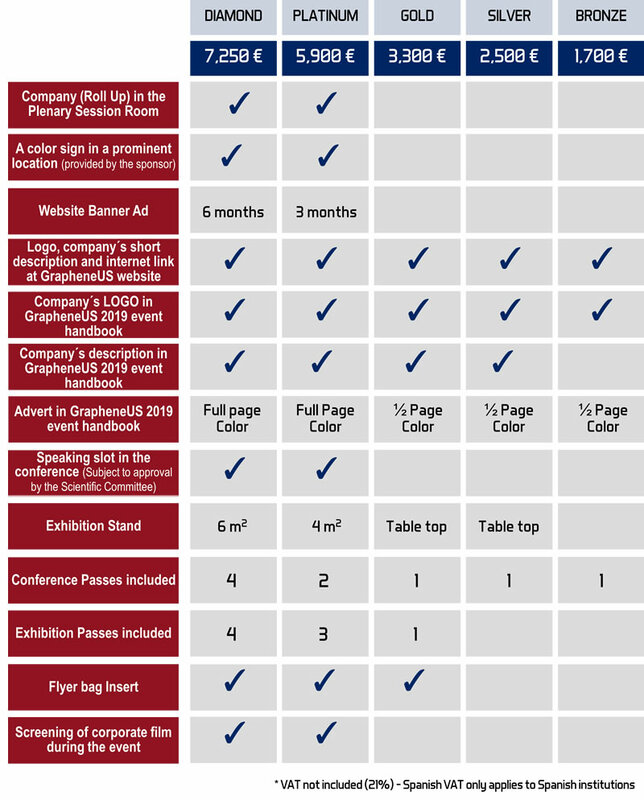 By supporting grapheneforus2019 you have access to a unique network and business opportunities.